Our staff is responsible for the mission fulfillment, programs and operations of Harwood Art Center, the multifaceted community outreach program of Escuela del Sol Montessori. 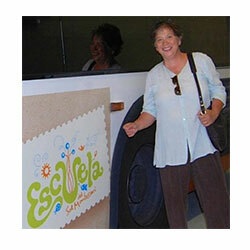 As a single organization, Harwood and Escuela share a Board of Trustees who guide our vision and philosophy. Harwood also looks to several advisory committees and to our fantastic volunteer corps for inspiration, input and support. We are particularly thankful to our facilities and maintenance team and our 45+ teaching artists and apprentices for their invaluable contributions to our programs. Our staff is responsible for the programming and daily operations of Harwood Art Center, the multifaceted community outreach program of Escuela del Sol Montessori. As a single organization, Harwood and Escuela share a Board of Trustees which facilitates the direction and philosophy of the organization. Harwood also looks to several advisory committees and to our fantastic volunteer corps for inspiration, input and support. We are particularly thankful to our facilities and maintenance team and our 75+ teaching artists and apprentices for their invaluable contributions to our programs. The driving force behind Friedje’s work with Escuela del Sol and Harwood Art Center is her passion for creating supportive and collaborative environments that provide access to both academia and the arts. Friedje has directed the organization for 30 years, taking the Montessori school from a small one-room preschool to one of Albuquerque’s preeminent early childhood and elementary schools, and making possible the creation of what has become one of our city’s leading arts organizations, Harwood Art Center. Julia has more than 15 years of professional experience in arts and humanities, program building and community organizing. In her role at Escuela, Julia manages long-term planning initiatives, strategic projects, and primarily Harwood’s team and program portfolio. She collaborates with our constellation of artists, educators and administrators to engage the arts as a catalyst for positive change. 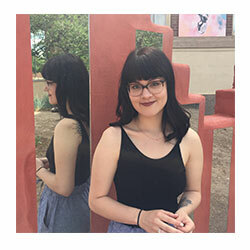 All of Julia’s work is rooted in curating creative, exhibition and professional development opportunities in New Mexico; coordinating platforms that enable artists of all ages to connect with and enrich their surroundings; and contributing to pride of place and impassioned civic engagement among her young contemporaries in Albuquerque. So, she also serves an array of local cultural, economic and municipal development efforts, including on the Coordinating Committees of SOMOSabq and Women & Creativity, and as Chair of We Are This City, Vice Chair of Tricklock Theatre Company, and Co-Chair of MiABQ. Julia has received humbling recognitions from her peers and colleagues, most recently as New Mexico’s Outstanding Young Nonprofit Professional of the Year for AFP-NM and YNPN-NM’s National Philanthropy Day Awards in 2017. Albuquerque is the reason Julia knows what “home” means, and she loves it more than any place in the world. 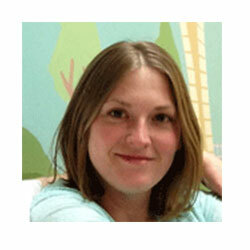 Staci is a tile mosaic artist, arts educator, and arts administrator. She has been creating public ceramic tile work since 2009 and also enjoys small-scale bronze casting, painting, and is currently learning web design. 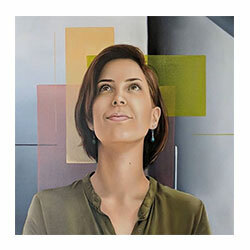 She is an Albuquerque native and holds a BA in Art Studio from UNM. Although Staci has been involved in the Harwood through the Mayor’s Art Institute in the past, she loves working as a staff member for the organization. 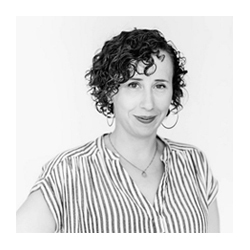 Her roles at Harwood include co-managing and serving as registrar of Art Camp, overseeing our on-site Artist Studios, co-coordinating the forthcoming Creative Roots Arts & Social Justice Apprenticeship, bookkeeping, and general administrative and staff support. She also works as a Project Manager for Concept Flux, and she serves on the board and executive committee of We Are This City. GuruAmrit has a background in Art History and Business Administration with over 10 years of experience working in galleries, museums and art centers in New Mexico and Texas. She is driven by a need to connect artists with their community through exhibitions, professional development, apprenticeships and teaching opportunities. Her job at Harwood includes coordinating our Galleries & Exhibitions and Summer Art Camp Programs, as well as marketing and graphic design, bookkeeping, database management, oversight of on-site artist studios, and general administrative and staff support. 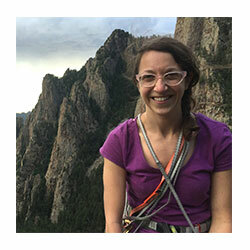 Jen’s work at Harwood involves grant research, writing and administration, and overseeing and integrating Harwood’s outreach programs across our events, programs, and community networking. She curates community arts exhibitions including an exhibition of work by youth in our Creative Roots Outreach Program at 12×12 and Encompass. In addition to her work at Harwood, Jen is a nationally exhibited studio artist and community organizer. She and Ebony Booth co-founded Burque Noir, a mulit-media showcase for visual and performing African American artists in Albuquerque. Jen leads the What Becomes project, which won a Fulcrum Fund from 516 Arts and the Andy Warhol Foundation. She partners with Edible NM Magazine owner Stephanie Cameron on Gathered: Pop-up Celebrations of Art and Food. 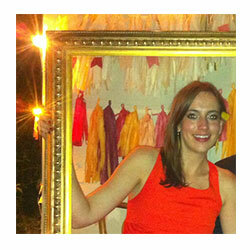 Jennifer’s writing has been published in the international journal, Ceramics, Art and Perception and Ceramics Monthly. 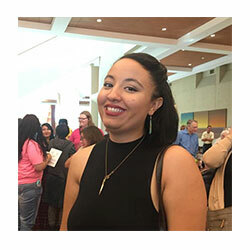 Dani is a New Mexican theatre artist, educator, and arts administrator who is driven by the desire to make a positive impact in Albuquerque through spreading her lifelong love of learning and art. She holds an M.F.A. in Theatre (Asian Performance) from the University of Hawai’i at Manoa and a B.A. in Theatre Education and Asian Studies from the University of New Mexico. Before that she studied Early Childhood Education at CNM. As an educator, she has worked with students of all ages in New Mexico, Hawai’i, Japan, and China which has instilled in her the joy of using the diversity of human experience as an education resource in creating curriculum and teaching. As a performer, she has studied 12 different Asian theatre/dance forms (from Japan, Bali, West Sumatra, India, Thailand, and the Philippines), and is particularly interested in dance, puppetry, devised theatre, new works, and theatre for educational and social change. Her other artistic interests include fiber art, knitting, cross-stitch, and multimedia collage. In addition to her work at Harwood, she also teaches theatre at CNM, is part of the artistic core at Blackout Theatre, and runs the small urban farm, Solarpunk Farm, with her husband. Becky is excited to utilize nearly a decade of office administrative experience with her BFA earned at Tyler School of Art of Temple University in Philadelphia, PA. Soon after relocating to New Mexico, she volunteered at two Harwood events and fell in love with how our establishment connects with the community. Becky is an artist whose most rewarding projects have included working on a mural at a child guidance center, and donating pet portraits to an animal shelter to help increase visibility for dogs and cats up for adoption. She is inspired by her new South Western environment, and has created a series of mixed media collage and watercolor landscapes. Currently in the works are two projects: large colorful paintings depicting her home’s interior, and a home-made sketchbook (pages dyed with red chile powder!) used to draw and paint various points of interest around Albuquerque. In her role at Escuela and Harwood, she will manage visitors’ first impressions and our volunteer program, organize donor and member relations, and co-coordinate special events. artistic household where his older sister had a strong impact on his creative development by serving as inspiration and motivation. Florian has played the drums since the age of 7 and participated in various bands and ensembles. His practiced art forms include small-scale woodcarvings and painting in watercolors. 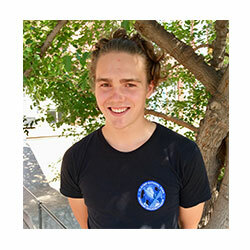 After graduating from high school in Germany in the summer of 2018, he joined the Service Adventure Program with Albuquerque Mennonite Church. As part of his service, Florian will volunteer at Harwood Art Center as the Outreach and Education Intern for the 2018/19 school year. His responsibilities include: preparing art materials and teaching environments, working as a teaching assistant, providing customer support, supporting Escuela programs, maintaining student attendance, assisting in the collection and preparation of student artwork for exhibition, assisting in the installation of the Creative Roots exhibit at Encompass and providing general program and organizational support. After his service Florian will return to Germany to attend at University. Jordyn Bernicke is a young artist currently finishing up her Bachelor’s degree of Fine Arts with a minor in Arts Management at the University of New Mexico. Though she is primarily a student, she is the Executive Director of a ceramic studio located on the University’s campus and has her hands full from working on a few various projects that entail community effort. She has lead a number of different workshops around the city, these workshops entail community experience and the collaborative process. Her goal is to continue to provide therapy or self exploration with her community and those in need. She is overwhelmed with joy to be working with Harwood again as a Summer Art Camp teacher and the Supply Manager for Art Camp. Our Arts Education and Community Outreach Programs would not be possible without the lead staff members that work in their respective programs. In addition to these lead staff members, there are numerous program support staff who make Harwood’s programming possible. 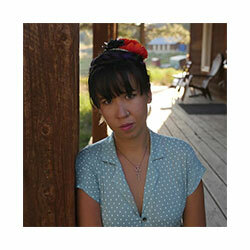 Helen Atkins is an emerging artist from New Mexico. She is graduating from UNM in 2016 with her Bachelor’s in Studio Arts with minors in Arts Management and English Composition. In her position at Harwood, Helen is the Creative Roots Program Assistant, helping run both the Wells Park workshops and both branches of Youth Mural Project. Outside of Harwood, Helen is a lead apprentice at the Mayor’s Art Institute where she has worked since 2012. She is also the Director of the ASUMN Arts and Crafts Studio. Shardae LeDouix is from Santa Fe, New Mexico and transitioned to the city of Albuquerque in 2008. Shardae graduated from the University of New Mexico, where she received her bachelors degree in Family Studies and Psychology. 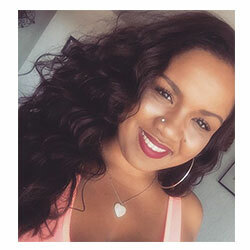 Shardae has been with Escuela del Sol Montessori since 2011, and currently works with the primary children. Shardae is also the Lead Guide for the Harwood Summer Art Camp, overseeing all the camp Guides and serving as a liaison between Harwood and camp staff.